You can pre-register now to get the chance for an exclusive gameplay session before the start of Alpha Access in the beginning of 2019. Lead a squad of four hardened mercenaries picked from a roster of unique classes. Jump into the arena and battle their opponents in adrenaline-fueled 1v1 matches. Use formations, cover and elevation to wreak havoc on the enemy squad. Equip mercenaries with unique abilities, weapons and gadgets for tactical options. 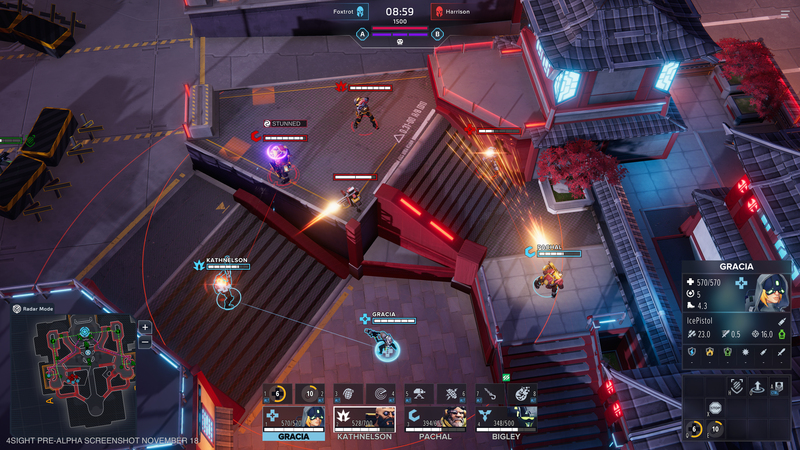 Direct the battle using RTS style controls from an isometric perspective. 4Sight is a premium game, planned for launch later in 2019. Join us on Discord and Twitter!